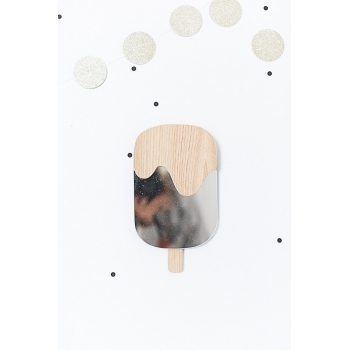 Mmmh…a delicious ice cream mirror for your kid's room. 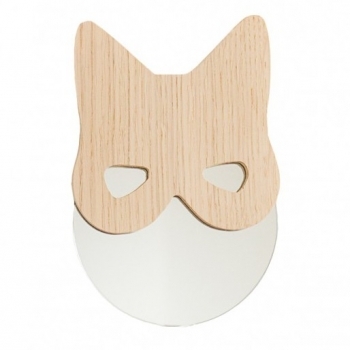 This stylish yet playfull mirror will be an eyecatcher in every room. 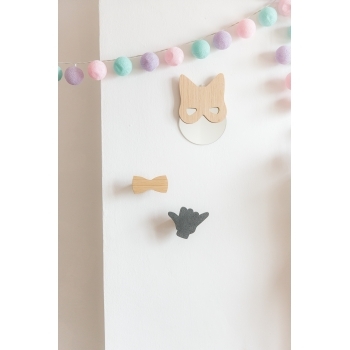 It has hooks on the backside and is easy to fix on the wall. 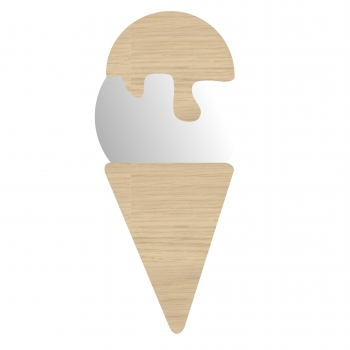 This yummy ice cream cone mirror brings a touch of summer to your kid's room. 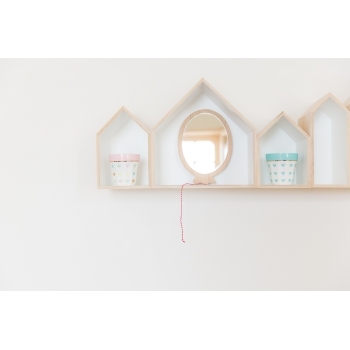 The wall mirror is made of wood and is easy to fix on the wall. Is it a cat or a superhero? Your child’s imagination will decide. 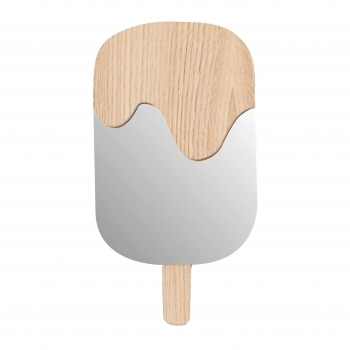 Anyway this is a very stylish mirror that can be easily fixed on the wall. 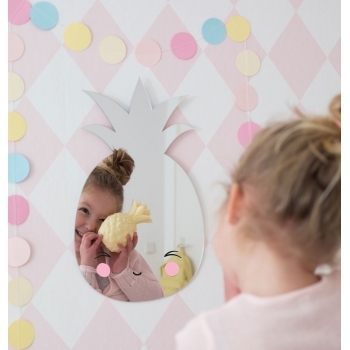 Playful and decorative mirror for your kids’ room. 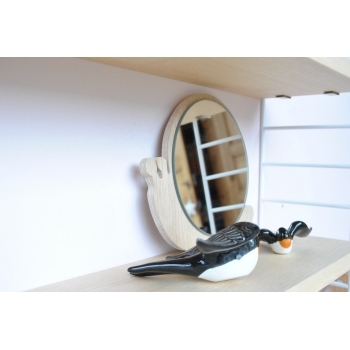 This mirror is made of natural oak and easy to attach on a wall. 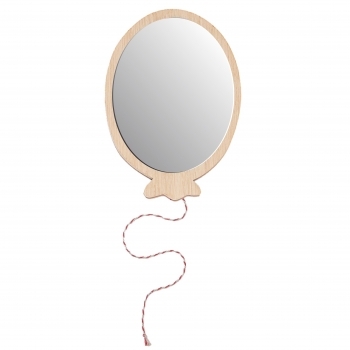 The funny toy balloon mirror comes with a red & white stripped cord. 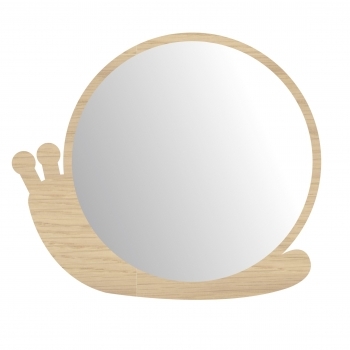 A lovely snail mirror to decorate your kid's room. 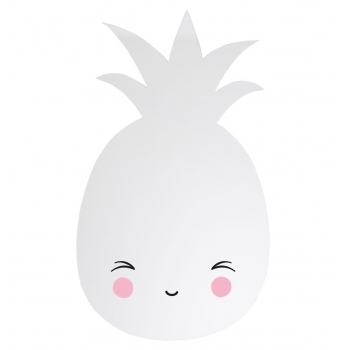 The round mirror is made of wood and easy to attach on the wall. 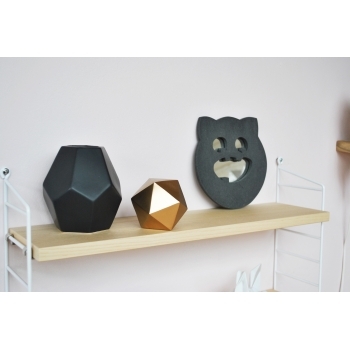 The smiling teddy will add a very special touch to your kid’s room. 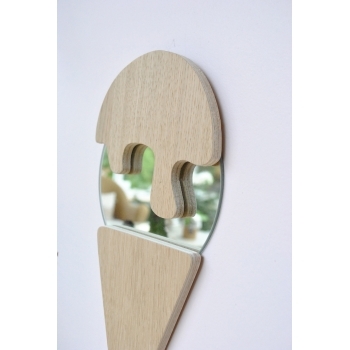 The wall mirror is handmade of wood and easy to fix on the wall.